Chiro + Functional Fitness= Awesome Results! I am sure many of you have heard of have seen that our nooner chiropractor, Dr Alandi, and I, are teaming up to offer our respective services in a package experience that we have dubbed: Movement Intelligence. We are offering 1 chiropractic adjustment and 1 personal training session a week in either a 4 week package for $450 (valued at $600) or an 8 week package for $800 (valued at $1140). We are bringing our services together because a lot of times people will see a chiropractor or trainer, but rarely is there communication between the two. The benefit of us working together is that she can tell me what she is seeing/feeling during her chiropractic treatment, which allows me to tailor a persons programming to aid in correcting any underlying issues they may be having. If you have ever seen a chiropractor, they usually give you feedback as to what they are seeing/feeling, accompanied with some exercises they think will remedy the situation, but how do you know if you’re doing them correctly? Thats where I can come in and help guide you to ensure you are taking the necessary steps to heal any movement based issues you might have. On the other side, I can also communicate with Alandi what I am seeing from a persons movement, so she knows what to be on the lookout for during her adjustment with you. 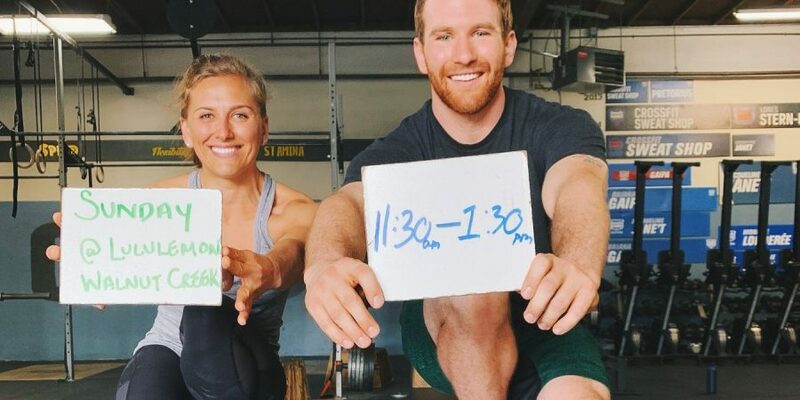 We are trying to synchronize the subconscious and conscious practices to offer what we think can be a huge benefit to anyone who might be dealing with a nagging injury, or is just looking to improve performance. We have two separate events in which we will be talking to people about how our collaborative services can help people get out of pain, and/or improve performance. 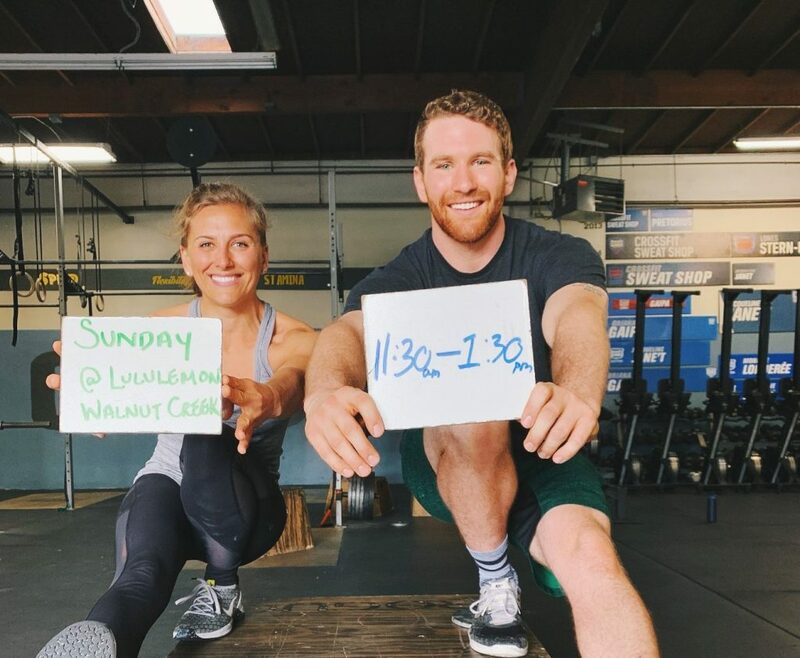 The first event will be this Sunday February 3 (yes super bowl Sunday) at Lulu Lemon Walnut Creek, from 11:30 am to 1:30 pm. Come see us if you have any questions or want a few quick assessments for posture, flexibility, and strength balance. The second event will be this upcoming Monday, February 4, from 5-7 pm at the Sweat Shop. We will be answering any questions you all might have about our collaboration as well as offering some more assessments if you want any insight as to how you can improve your movement abilities. We believe through our collaborative efforts we are providing a rare pairing of services that can provide tremendous amounts benefit to people. If you want to learn more about what we are offering, come to any of the information events, or ask either of us whenever you see us at the gym!